BOSTON—Spring Air veteran Nick Bates, who has been with Spring Air International since 2009, has been promoted to president of the Top 15 bedding producer. In his new post, Bates, who is a nephew of Spring Air CEO Ed Bates, succeeds Rick Robinson, who died unexpectedly last month. 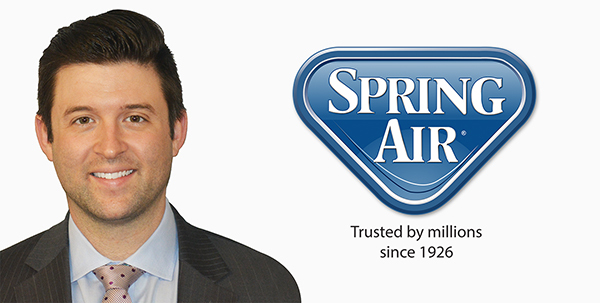 Nick Bates joined Spring Air in 2009 as a sales and marketing coordinator. In 2012 he was promoted to director of corporate accounts, and was named vice president in 2016. @2018 Spring Air USA. All rights reserved.